J. J. Keller offers fleets new, no-cost DOT Audit Workbook: Assess Your Risk in the 7 CSA BASICs. 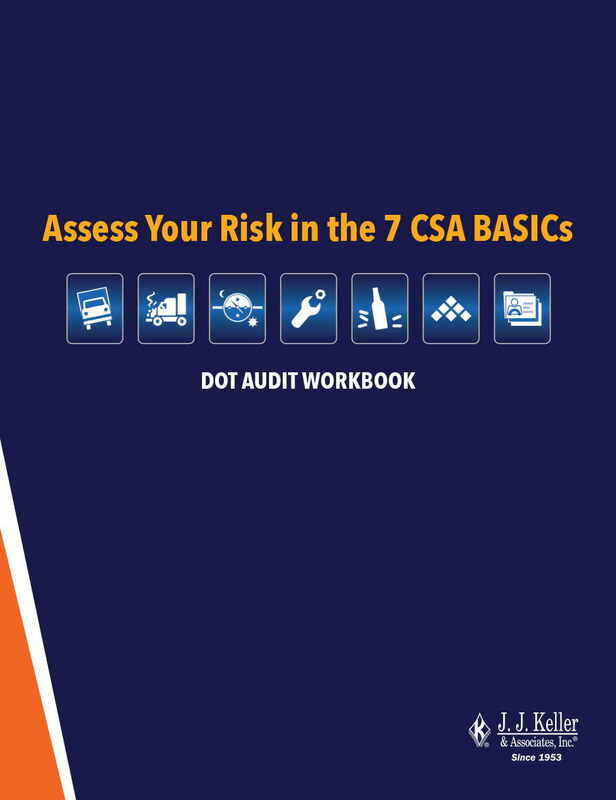 J. J. Keller’s free 44-page DOT Audit Workbook: Assess Your Risk in the 7 CSA BASICs is organized by the seven BASICs in the CSA program. Each BASIC section includes an overview, examples of related violations and their severity ratings, and questions based on the six steps in the FMCSA’s Safety Management Cycle: policies and procedures, roles and responsibilities, qualification and hiring, training and communication, monitoring and tracking, and meaningful action. “When fleets are proactive about safety and compliance, they gain greater control over whether a DOT audit is in their future or not, particularly since the majority of audits aren’t random,” added Reader. 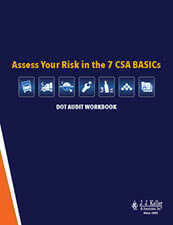 J. J. Keller’s free DOT Audit Workbook: Assess Your Risk in the 7 CSA BASICs is available by calling 855-693-5338 or visiting JJKeller.com/AuditWorkbook.